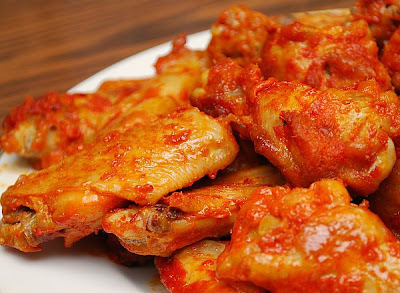 It's Wing Time! For the 'Guy's Nite' my husband is hosting tonight, I prepared baked buffalo wings for them to nosh on. This had to be on the menu per the request of the hubs... so I couldn't ignore how much I know he loves his wings. 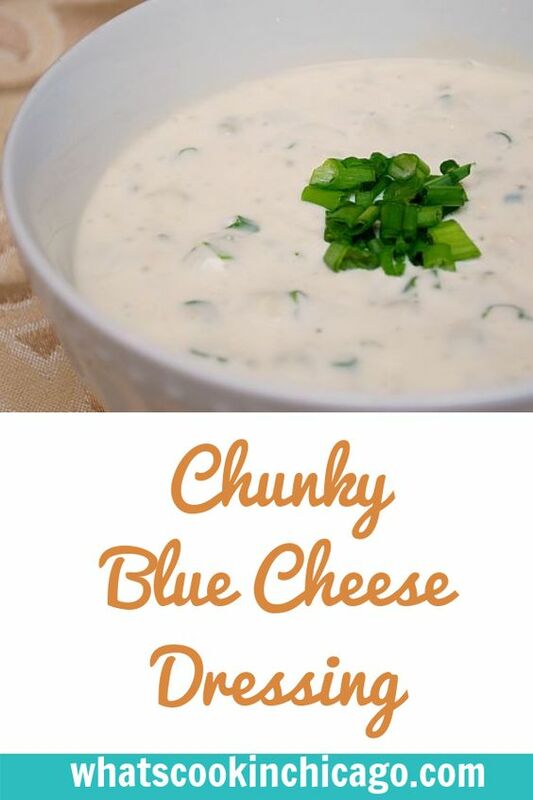 To accompany the wings, I made two dips, one being this one, Chunky Blue Cheese Dressing. It's a pretty simple, no fuss recipe from AllRecipes.com. Save yourself from buying the prepared blue cheese dressing from the salad dressing aisle at the store and make this from scratch! It's free from unpronounceable ingredients and tastes far better than any bottled dressing I've had. Aside from wings, it's especially delicious over a classic lettuce wedge salad or as a dip with breadsticks or fries. Mmmm! 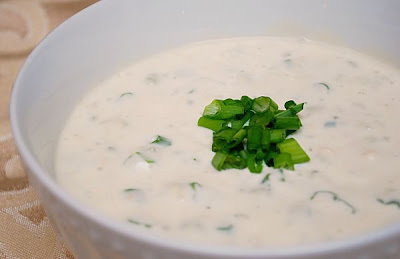 In a small bowl, mash blue cheese and buttermilk together with a fork until mixture resembles large-curd cottage cheese. Stir in sour cream, mayonnaise, vinegar, sugar, and garlic powder until well blended. Season to taste with salt and pepper. Fold in the 3/4 of the sliced green onions and garnish with the remaining 1/4 sliced green onions on top. Gotta work the veggies in. Don't forget the celery sticks!